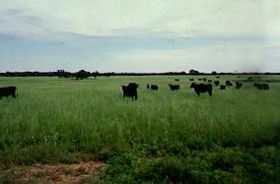 In the Texas Hill country of Mason County, bad luck was on the horizon in 1874 when large numbers of cattle began to be killed or go missing. Before long, a murderous conflict called the Mason County War, but just as often referred to as the Hoodoo War, erupted between German immigrants and Texas born natives. For years, relations had been tense between the two groups, as during the Civil War, the native Texans declared themselves Confederates, while the Germans remained loyal to the Union. The trouble began when nine Texans were jailed on charges of cattle theft. Before a trial could be held, four escaped and on February 18, 1875, a German mob of about forty men took the remaining five from the jail. Dragging them to a place near Hick Springs, the Germans hanged cousins Elijah and Pete Backus and shot a man named Wiggins. A fourth man named Johnson was able to escape, and help arrived before Tom Turley, who had also been hanged, died. Though a district court investigated the incident, nothing came of it. Full blown war began when Sheriff Clark sent Deputy Sheriff John Worley to arrest a man named Tim Williamson for cattle theft. After picking up Williamson, the posse was attacked by twelve men with blackened faces on May 13, 1875, and Williamson was killed, allegedly by a German farmer named Peter Bader. No one was arrested for Williamson’s murder, and Scott Cooley, a former Texas Ranger, and a friend to Williamson, swore revenge. 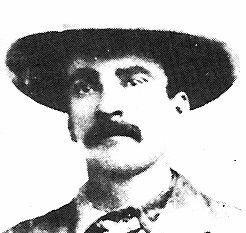 He soon recruited several men to help him, including John and Mose Beard, George Gladden, and Johnny Ringo and the men began their retaliation, killing at least 12 men. Scott Cooley blamed Worley for Williamson’s death, believing him to have been in collusion with the ambushers. On August 10, 1875, Cooley went to Worley’s home where he found the deputy working on his well with an assistant, who had been lowered over the side. Cooley shot Worley dead, and the well worker, clinging to the rope, tumbled to the boom of the well. Cooley then cut scalped Worley, proudly displaying his prize to the Germans. Cooley and his men then killed Peter Bader, the second man on his death list, before tracking down murdering another man named Daniel Hoerster, whom they suspected of having been part of the ambush group. The Germans retaliated by hanging two of Cooley’s confederates, and the murders continued in both directions for the next year before the Texas Rangers finally restored order. Cooley escaped from a posse at the Llanno River and was thought to have fled into Blanco County where he was sheltered by friends and died a short time later, supposedly of brain fever. After many months of violence, a strained peace returned to Mason County in the fall of 1876, but it would be another year before everything settled down completely. Only a few minor gunmen were ever charged, one of which was Johnny Ringo, but after spending almost two years in jail, the charges were dismissed. He would later turn up later in Tombstone, Arizona to tangle with the likes of Wyatt Earp.